Proposal encompasses more than 400 businesses. On January 5, 2011, the City Planning Commission approved the Department of Small Business Services’ plan to create the Atlantic Avenue Business Improvement District for 738 tax lots and more than 400 commercial businesses in Brooklyn’s Cobble Hill and Boerum Hill neighborhoods. The BID would extend along Atlantic Avenue from Fourth Avenue to the east and the Brooklyn-Queens Expressway to the west, and extend along the side streets one block to the north and south of Atlantic Avenue. Properties along the north side of Atlantic Avenue between Court and Smith Streets would be excluded because they are part of the Court- Livingston-Schermerhorn BID. 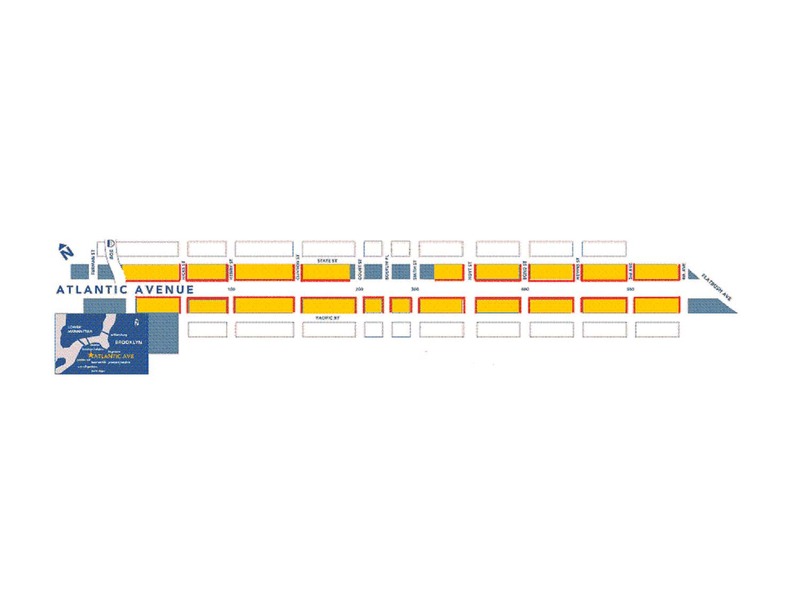 The proposed BID covers a section of Atlantic Avenue featuring a mix of national retail chains, two- to four-story residential buildings with ground floor commercial uses, and large residential condominiums. The BID would allow for an annual assessment on businesses and residents in order to provide marketing and promotion services, sanitation services, and improved business advocacy. The BID would have a projected $240,000 first-year budget. Commercial properties with Atlantic Avenue frontages would be assessed at a rate not to exceed $20 per linear front foot, with commercial properties on corner lots being assessed at the commercial rate and 50 percent of the assessment for the frontage on the side streets. Residential properties would pay an annual $1 assessment, and government uses, non-profit, and religious organizations would be exempt. At the Commission’s hearing, Barbara Clurman, co-chair of the Atlantic Avenue BID Steering Committee, testified that the area was the district’s last commercial strip not part of a BID and pointed out that more than 90 percent of business and property owners supported the proposal. Local Council Member Stephen Levin submitted a letter in support noting that the BID would generate additional foot traffic and revenue while preserving the commercial corridor’s “historic nature.” There were no speakers in opposition. The Commission approved the plan, noting its importance in promoting Downtown Brooklyn’s economic development. If approved by the City Council and Mayor Michael Bloomberg, it would be Brooklyn’s twenty-third BID. CPC: Atlantic Avenue BID (Jan. 5, 2011).